This week, we share some of our secrets about what makes our 9-piece band sound as good as it does! We often get complimented on the sound of our 9-piece function band, with comments such as “the sound was simply fantastic.” It’s always great to hear that clients and guests appreciate the sound, because we work very hard to get our band sounding as good as it does. 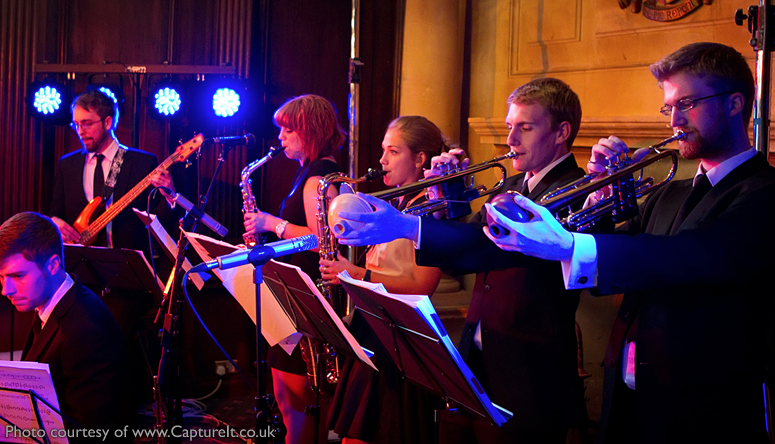 The 18-piece Big Band may be the “gold standard” for most of the music that we perform, but sadly most people can’t afford, or don’t have space, for a full Big Band at their events. 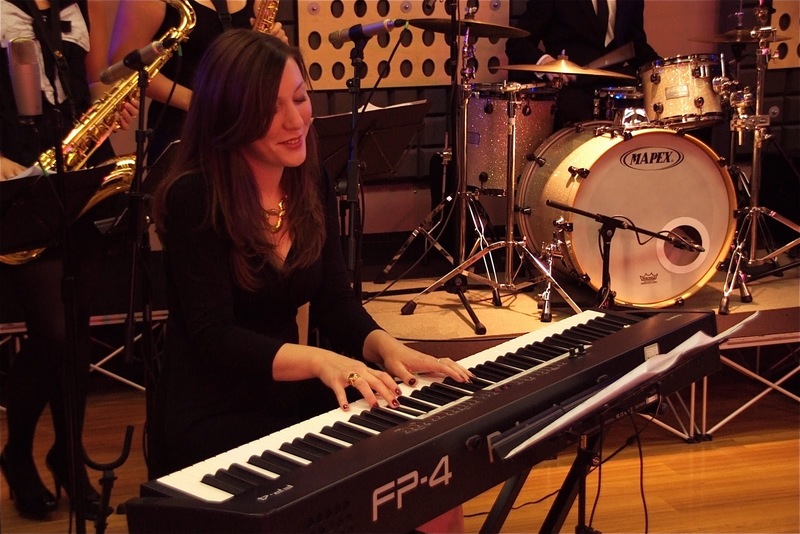 It is also hard to get a big band sounding just right underneath vocals, as most weddings and corporate events are in venues that are just too small or intimate to handle the Big Band sound. However, cutting down on the number of musicians often only serves to ‘water down’ the Rat Pack, big band and soul music that we love to perform, taking away the edge that makes the music so fantastic. 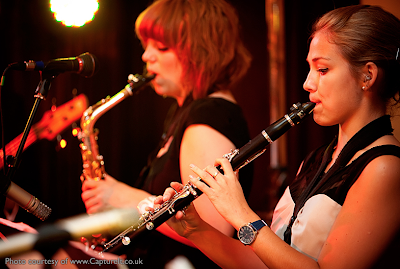 This is why we have carefully selected the instruments in our 9-piece band line-up to be as flexible as possible, and we arrange each song specifically for our band. To the best of our knowledge, our line-up featuring two keyboards, four horns (including two saxes and two trumpets) alongside drums, bass and vocals is completely unique in the function band circuit – so really does give us a unique sound. One of the things that is different about our band, compared to all other function bands that we know of, is that we have two keyboard players. In the Rat Pack and Swing sets, one keyboard covers the traditional ‘piano’ parts, whilst the other keyboard covers a huge variety of sounds that enhance our songs (and increase the amount of repertoire we are able to perform). However talented the rest of our musicians are, songs like “New York New York” and “The Way You Look Tonight” will never sound the same without the rich orchestral string parts. In the Soul and Motown sets, the two keyboards share a large variety of piano, electric piano, organ, clav, synth, strings and guitar voices to give us a huge amount of flexibility, meaning we can make each song sound as good as possible. Our horn parts are spread across two trumpets and two wind players (who spend most of the time playing saxophone, but also cover important clarinet and flute parts in the big band and Rat Pack repertoire). With this line-up, the four players can blend together in a horn soli to make a fantastic ‘brassy’ sound, or the saxophone and trumpet sections can split to play in a classic big band ‘call and answer’ style. 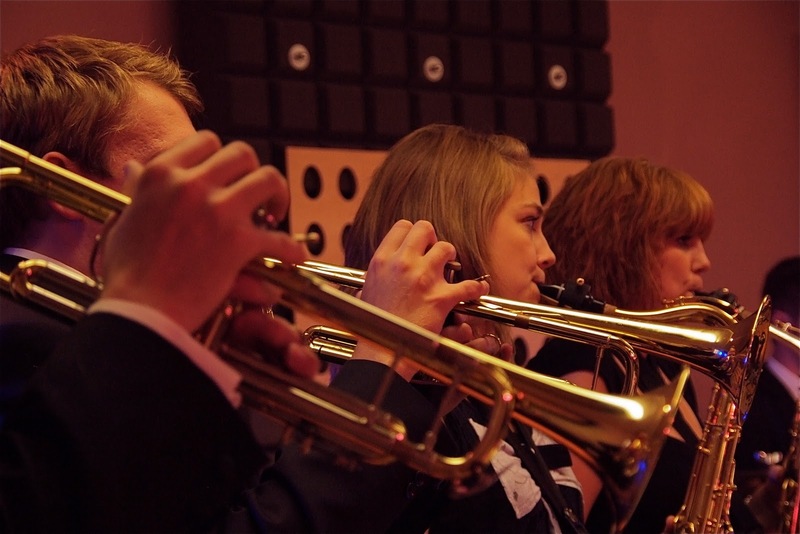 A second trumpet is also far more flexible than a trombone, because the added harmony close to the high trumpet gives our four-piece horn section a much ‘fuller’ sound than you would normally expect. The second keyboard in our band also often joins in with the horn section, filling out the harmonies and giving our 9-piece band a much richer sound. In the next article, we will have a look at how we arrange our songs for our line-up.